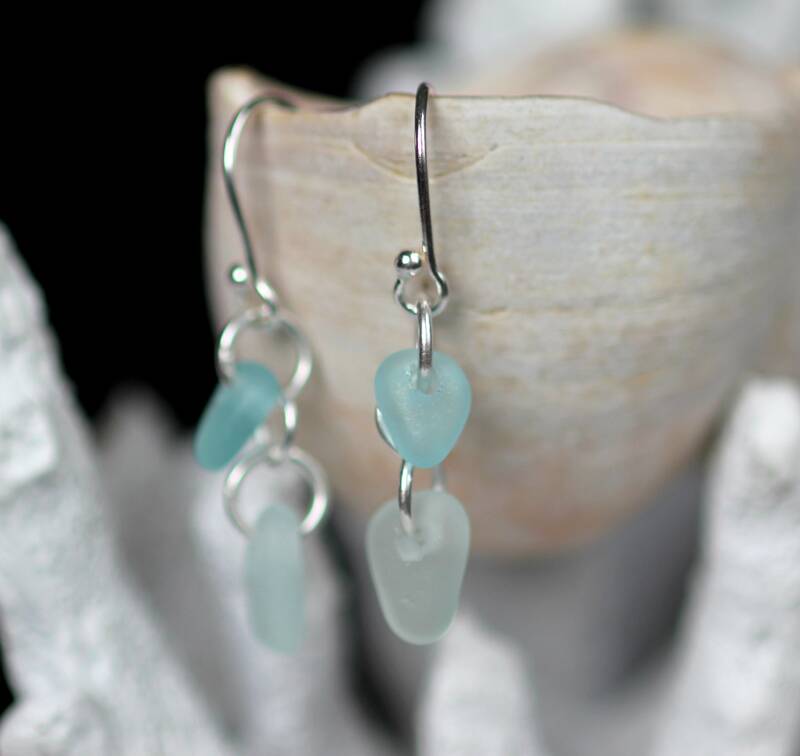 These Two Tide sea glass earrings feature two drops of genuine beach glass in soft aqua and white, dangling on sterling silver earwires. 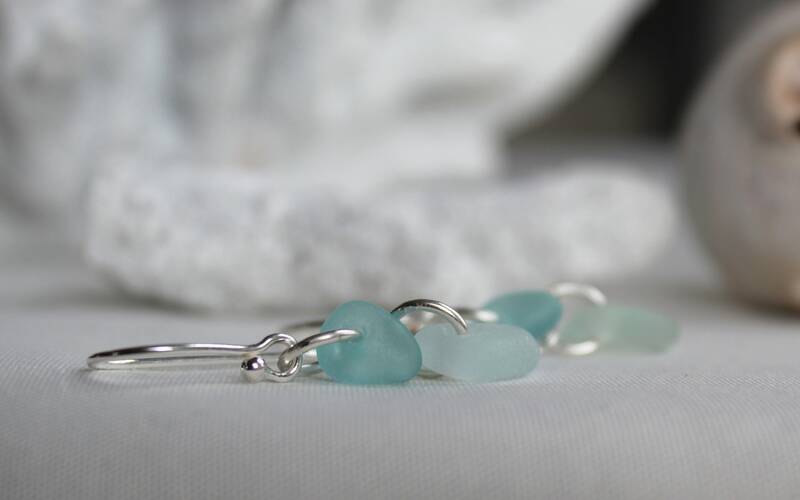 These lightweight earrings are perfect for everyday wear so that you can carry a bit of the sea with you always! 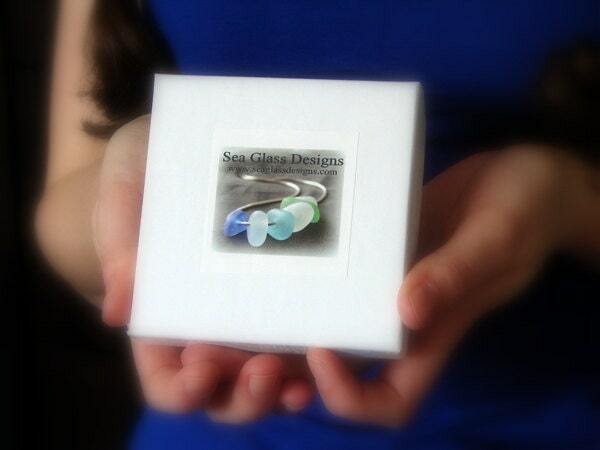 Our earrings come in a jewelry box with the Sea Glass Story on the inside lid, ready for gift giving. 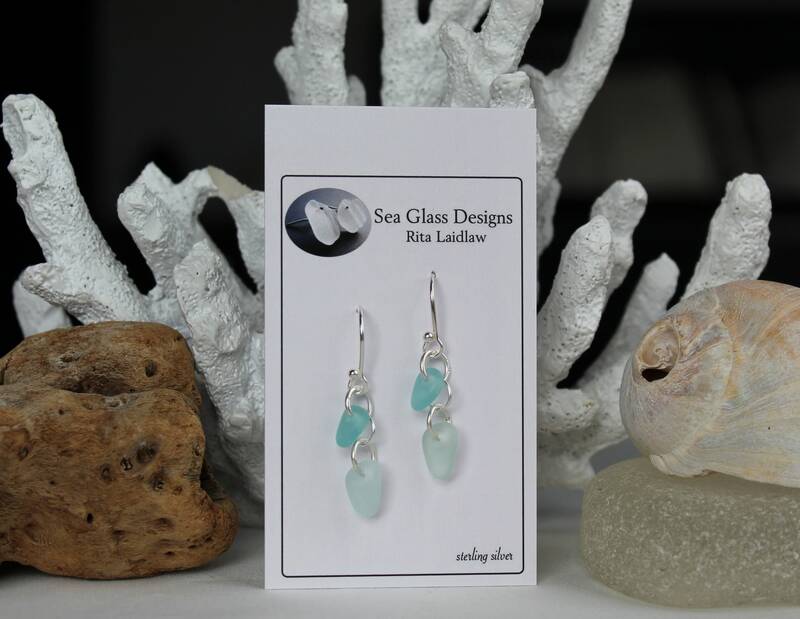 Your order will include a silver polishing cloth to keep your earrings looking bright. 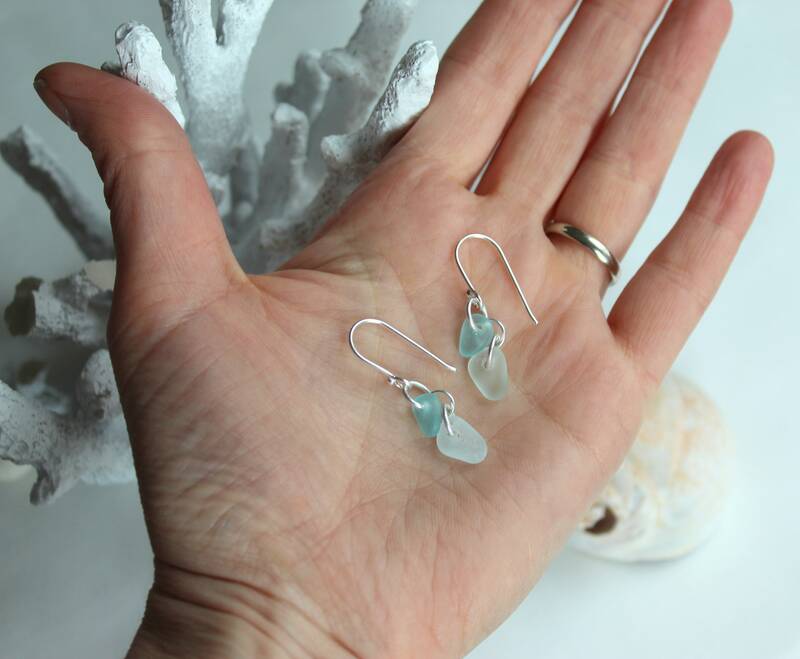 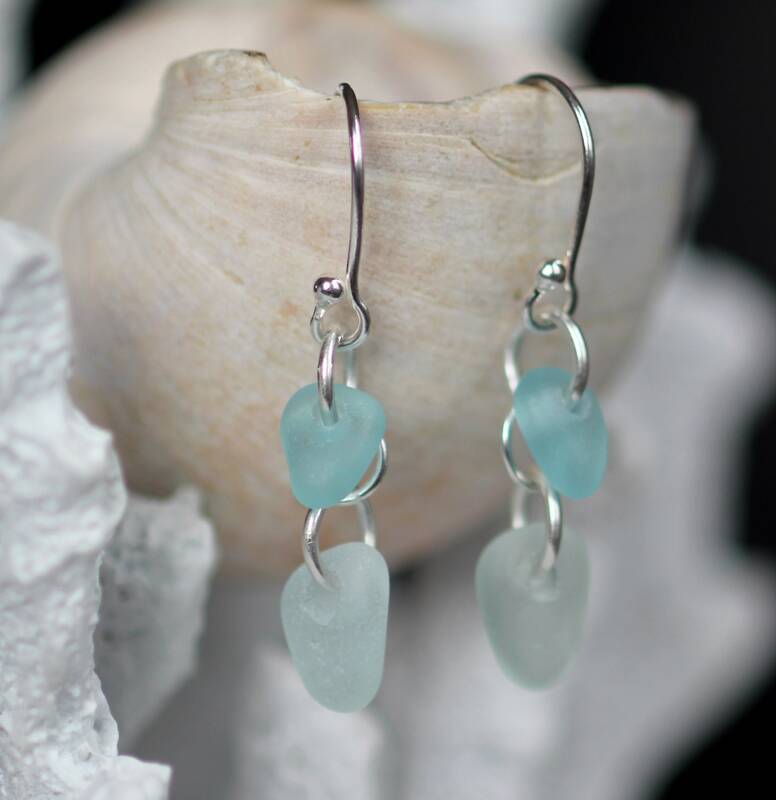 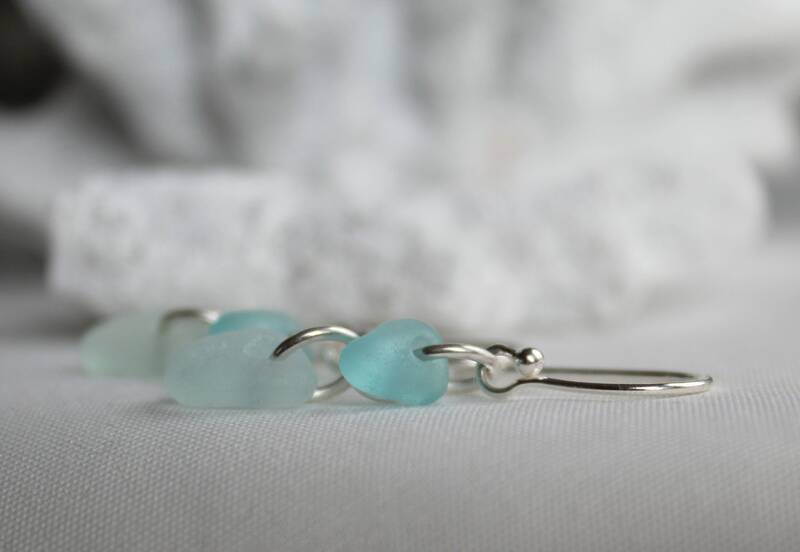 ~ We use only genuine sea glass, the colours in these earrings are aqua and white, soft shades that can be worn with anything. 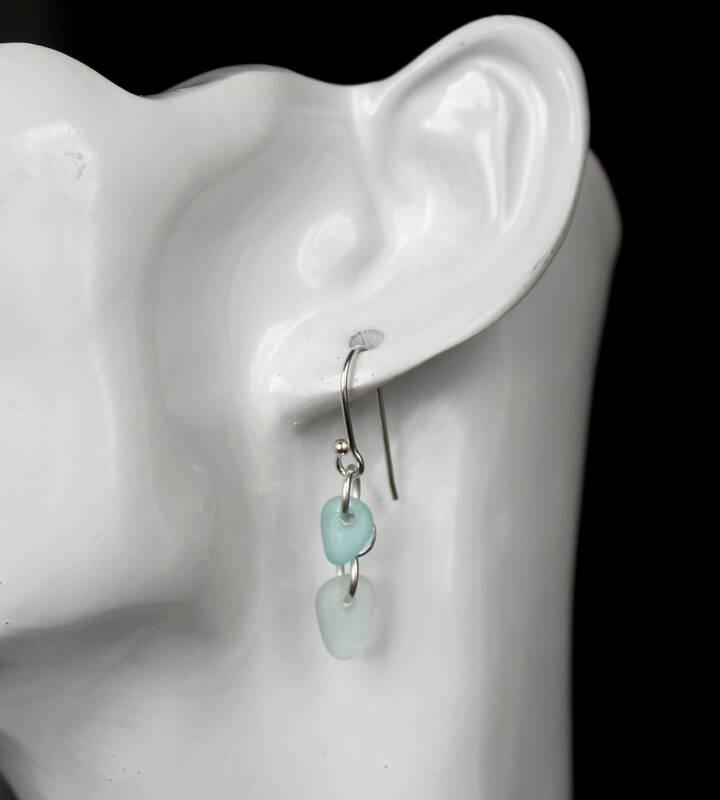 ~ The earrings measure 1 1/4 inches (3.2 cm) in length, from the top of the earwire to the bottom of the dangle. 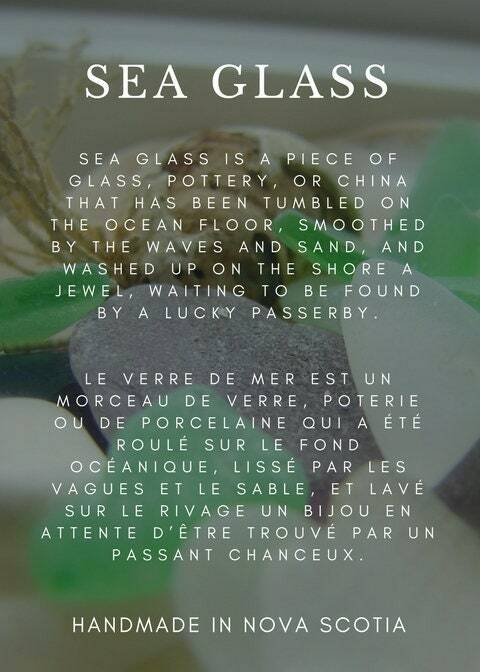 See 7th photo to help visualize the size.